A vehicle that will change the way you think about a car! 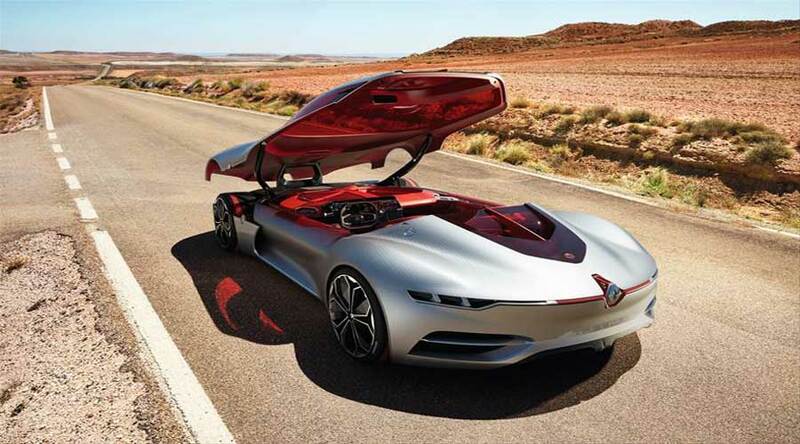 Renault has introduced its most modern electric car - Renault Trezor at the Paris auto show. Trezor which is distinguished by its cutting edge design philosophy, is a two-seater electric coupe. The incredible fine lines that run across its length exhibit French refinement. Trezor is an amazing design marvel and has brilliant aesthetics. Furthermore, the metallic finish adds an oomph to its stunning looks. The honeycomb structure on the bonnet which serves as variable geometry air intake also enhances dynamic character of the car. The car has the most modern fibre optic lights with red laser which emit distinctive light. Besides these, Trezor features a unique door concept unlike any other car. The entire roof opens like a lid of a box and then the passengers can get into the car. Renault has carefully chosen an aggressive and dominant red colour for the car. The wood and leather interiors are also bright red in colour. Refined interiors project fresh and sleek look of the car. 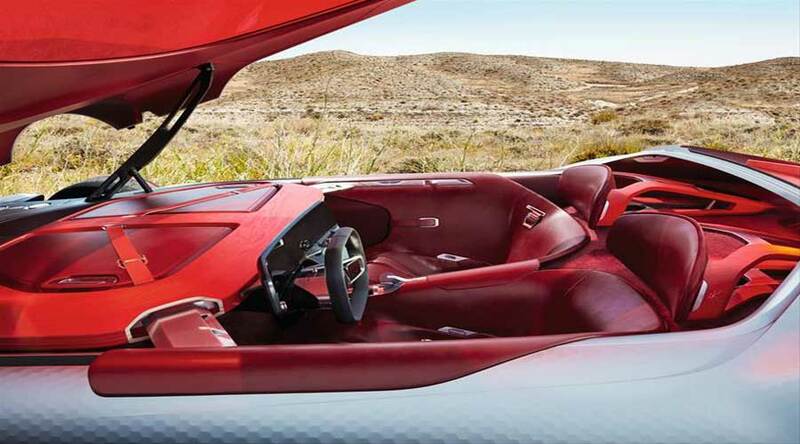 In addition, it has a racing car like steering wheel and a dashboard with stunning display. The driver can also get a panoramic view of the dashboard. 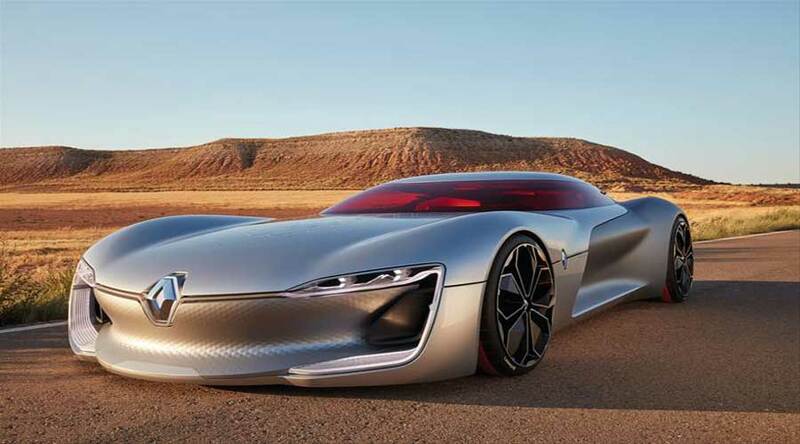 Renault Trezor has autonomous driving capabilities which can be customized according to passenger’s inputs. Trezor employs two electric batteries (one located at front and another at rear) to store electric energy. The hexagonal air intake on the bonnet takes care of cooling of batteries. The car derives its electric motor from Renault e-dams which was the two-time winner of formula e-championship. This motor gives out maximum power of 260 kW (350 hp) and peak torque of 380 Nm. Thus, the car can accelerate from 0-100 in 4 seconds. It also has brake operated energy recovery system, similar to regenerative braking, called RESS (Rechargeable Energy Storage System). Also, to keep the weight in check, its bodywork is constructed using carbon fiber. These measures will prove beneficial for extending the range. The long wheelbase of 2776 mm further enhances its road stability. Overall, Trezor has presented a strong image of what Renault group wants to achieve in electric car market in the near future.